For now this overview will suffice. In a later blog I will go into the options at your disposal in Salesforce and Pardot to ensure adherence to the GDPR regulations. For now let's go back to our email consent. My best advise is not take the letter of the law too litteral. The new privacy law is actually a great opportunity to reorganise your marketing efforts and stand out from the crowd. Email traffic and response has been declining for some time. Getting people to consent to using their personal data means being of value is hugely important. Then of course, all of this valuable content needs to reach the right people through social media (e.g. LinkedIn / Facebook) and your email marketing campaigns. So clean up your contact lists and define a good trigger to stand out and get people to actually opt-in. 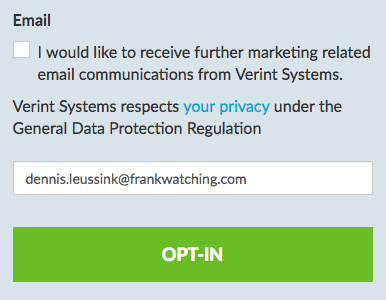 Now writing the email Opt In can be quite tricky. As mentioned previously you tend not to open or give your consent as we were all flooded around the 25th of May this year. 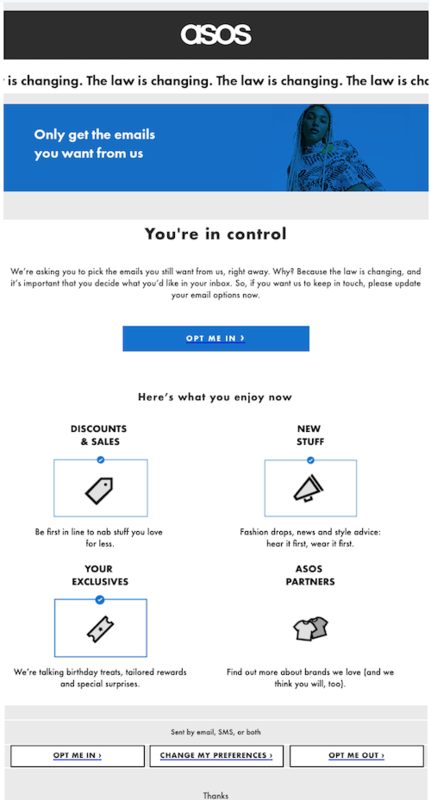 Many companies sent out emails to probably every contact in their lists, begging them to opt-in to their communication. Surely, they will not get the right response. There is no apparant value made clear in the request and the lack of creativity is mind blowing. There are expections however. This email really stood out for me, it shows very nicely what value you can get when signing up. Do you have a lot of contacts or just don't want to end up between the other consent emails in someone's junk email box? Just request the consent through a clear process on your website. 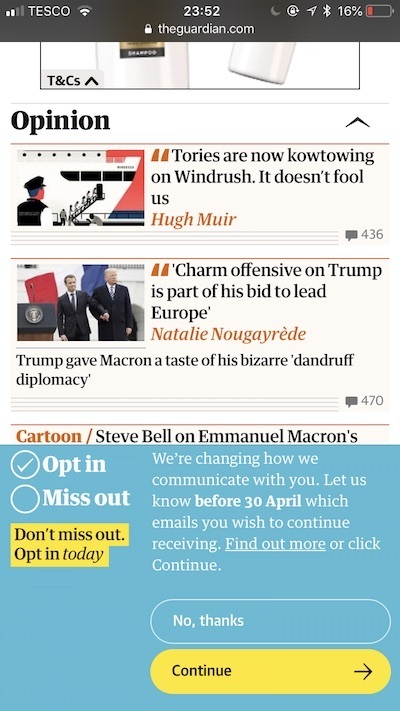 Below an example I found from The Guardian. Clear and concious opt-ins will allow you to store all the required information in your CRM system needed for GDPR, i.e. who gave the consent, the status of the consent, when the consent was given and clearly worded what it is for. Getting response rates on RE Opt-in campaigns higher than what most reports show can be quite a puzzle. However, if you think creatively about the value your contact will get from providing consent, the request will stand out more and be more likely to receive positive response. Once you have the content, go and limit the list to whom you request consent. Differentiating between segments in your contact list will make it a lot easier to identify the group where getting consent is required and valuable. Track down the consents you already have from customers and / or prospects. They can continue to be targeted. Then remove any contact that hasn't opened your emails or that hasn't been active for longer than 12 months. Surely they are only cluttering your database and provide no immeadiate value. This should limit your list to contacts where explicit consent is not yet in place, but who do open your emails or regularly engage with you or your content. Now that your lists are in order, you are ready to stand out from the crowd and get those additional opt-ins! Also, think of GDPR compliancy as an ongoing process where your sales and marketing departments work together to engage with your contacts using the right valuable content. Make it a WIN-WIN!